This website is dedicated to Anna Heilman (née Wajcblum). Anna was one of the last living survivors of the plot to blow up Crematorium IV at Auschwitz-Birkenau. The plot was part of the plans for the October 1944 Sonderkommando Uprising. Auschwitz-Birkenau had four crematoria, which were used to destroy the bodies of those murdered in the gas chambers. The Sonderkommando were slave workers at the crematoria. So as to leave no witnesses, the SS periodically executed the entire complement of the Sonderkommando, and replaced them with "fresh" slaves. Auschwitz-Birkenau was both a vast death camp and a huge industrial complex. Anna and her older sister Estusia were slave laborers at the Union Munitions plant at Auschwitz-Birkenau. Though regularly searched, and subject to instant execution if caught, Estusia, Anna, and a small number of other Jewish women played key roles in obtaining and providing explosives to the men of the Sonderkommando. The Sonderkommando made 'grenades' out of shoe polish cans filled with gunpowder from the Union munitions plant. The Uprising took place on October 7, 1944. It was quickly put down. All of the Sonderkommando were killed, but not before their crude bombs severely damaged Crematorium IV. It was never used again, saving many lives. By joining the conspiracy, Anna and her sister decided to fight back, even though they knew that there was virtually no chance the Uprising would succeed. The conspirators figured that they would die anyway, but by participating in the uprising, by fighting back, they could give their deaths meaning. In 2002, the movie "The Grey Zone" was released. It tells the story of the October Uprising from the perspective of the Sonderkommando. After the Uprising, the SS traced the gunpowder back to the Union factory. 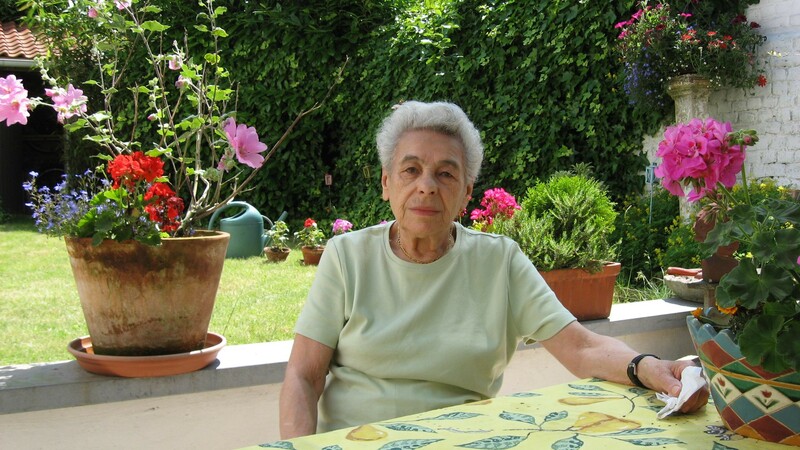 The SS tortured Estusia and three other girls, Ala Gertner, Roza Robota and Regina Safirztajn for months. They never gave up Anna's name, only the names of members of the Sonderkommando, who were already dead. The four girls were hanged on January 5, 1945, just before Auschwitz was brutally evacuated on January 18, 1945, in response to the Soviet army’s advance toward Germany. 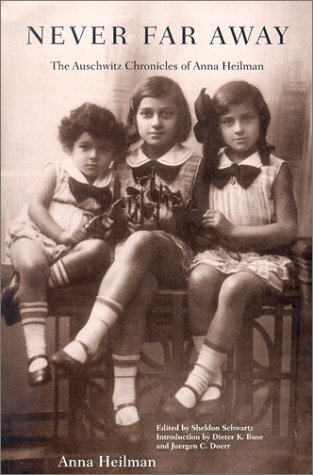 The four young women died as Jewish resistance fighters. Anna Heilman is the author of Never Far Away: The Auschwitz Chronicles of Anna Heilman. This book won the 2002 City of Ottawa Book Award. Never Far Away was published in Canada by the University of Calgary Press, in the United States, by Michigan State University Press and in Japan by Toyo Shorin. In March 2012, the University of Calgary Press took Never Far Away out of print. All publishing rights to Never Far Away are now held by Anna Heilman's son-in-law, Sheldon Schwartz. To learn more about Anna Heilman and Never Far Away, please click on any of the links on either the top or bottom of this page. Updated March 23, 2018. ©2001, 2002, 2004, 2005, 2006, 2007, 2008, 2009, 2010, 2011, 2015, 2016, 2018 All Rights Reserved.